Our Limo Bus amenities include hi-fi video and audio systems, luggage area, restrooms, ultra-comfortable seating and much more. Contact us today (using the convenient form on the right) for rental questions and pricing. 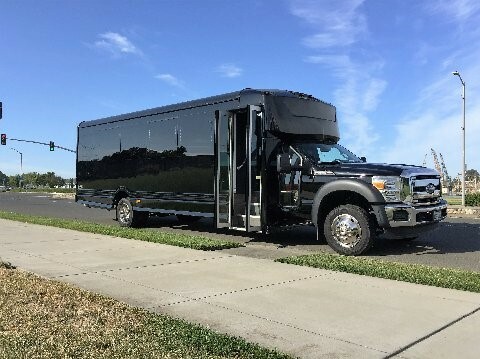 Large-party Bus: The large-party Bus Limo is a new concept in luxury travel; also referred to as Limo Bus, or large-party Van, Limousine Bus, or Luxury Bus. I rented the 24 passenger Luxury Bus for a company outing in SF and we had the best time. Our chauffeur Kevin was amazing!! So sweet and accommodating. The entire set up process was so stress free and their prices are far better than every other place I looked into (Thanks Reese!) They've got my business for life!